Diapers, baby wipes, a pacifier, an extra pair of clothing, a toy and so on and so on. When you are on the go with a little one there is lots of stuff you have to bring with you. Your favorite designer bag isn’t big enough and hasn’t got enough pockets, so why not opt for a stylish diaperbag? 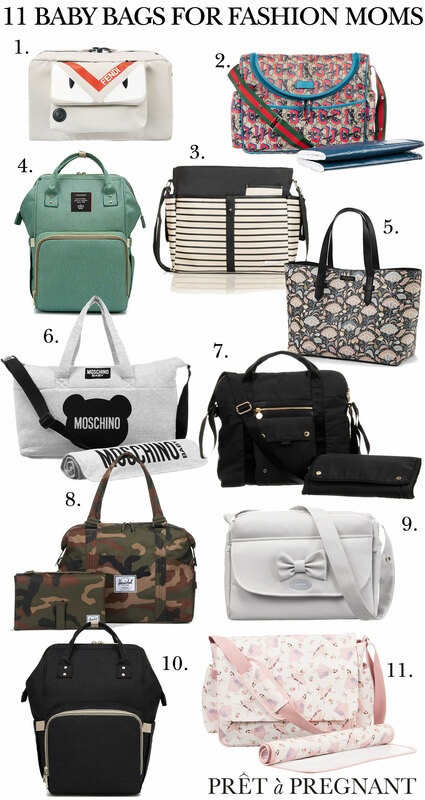 The days when baby bags where boring and everything expect stylish are over. Today we have picked 11 of our favorites of this moment (there were supposed to be 10, but we couldn’t pick 😉). From a designer Gucci bag to a lovely printed bag of Elodie Details.